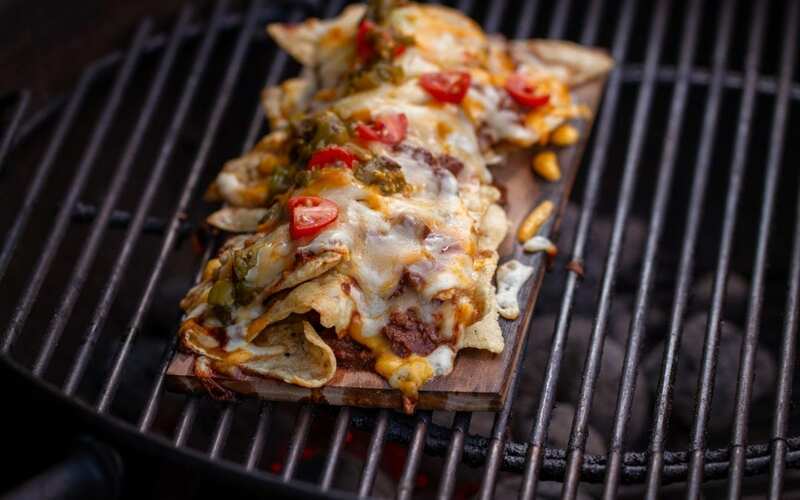 These planked nachos are not for the faint of heart! Cincinnati style chili and green chilies give these nachos tons of flavor. Feel free to customize the recipe with your favorite toppings. The chili acts like “mortar” keeping each level of chips together. More chili means better nachos. Preheat your grill to medium heat, about 350°F. Over direct heat, heat the plank until it is well marked and almost ready to smolder. 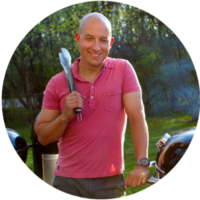 Remove the plank from the grill. Spread a layer of tortilla chips on the burnt side of the plank. Top with part of the chili. Add another layer of chips and top with more chili. 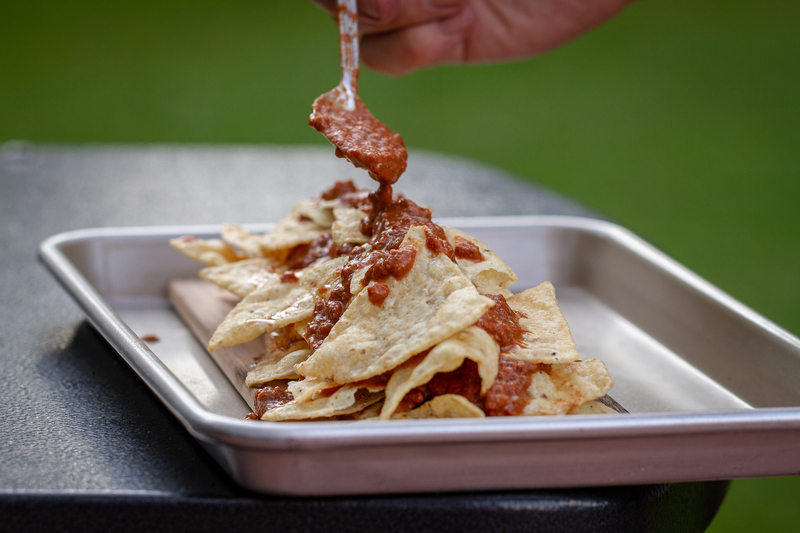 If space is available, top with a third layer of chips and chili. Top with any remaining chili, the cheese, tomatoes, and chilis. Grill over direct-medium heat until the cheese melts and the chili is heated through, approximately 10-15 minutes. Serve with guacamole and sour cream if you desire.